Wyatt Tan is an inspiring figure on health and wellness, and he's registered himself for MasterChef Singapore. We believe if he cooks this dish in one of the challenges, it'll bring him straight to the next round! The preparation and cooking method used in this Crispy Rendang recipe makes the flavour and texture stand out. 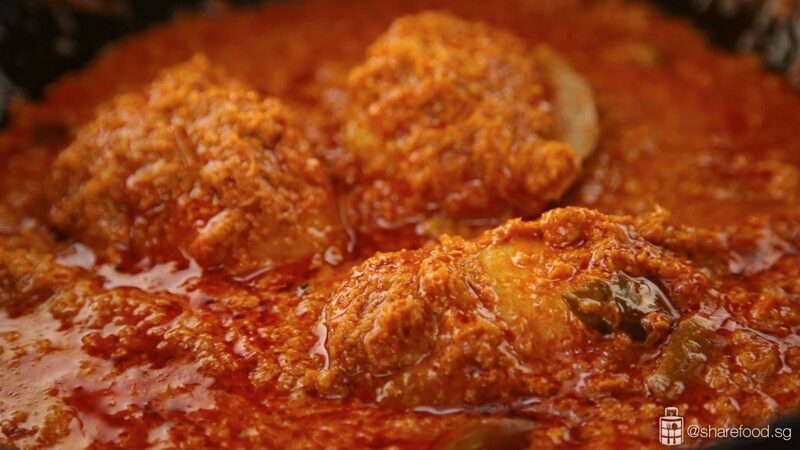 The chicken is first marinated and cooked in Rendang and then simmered for an hour. This process allows the flavour to be infused into the chicken. Next, it's battered up in buttermilk and spices and fried with an air fryer. This gives you the crispy outer crust that we love when we eat fried chicken. Though home cook Wyatt is health conscious, he believes food must taste delicious too. And yes we've tried it and the chicken skin is crispy! No guilt to have more! Now that the secret is out if you're in pursuit of a good crispy rendang, you've got to give this a try! Moist, flavourful and deliciously crispy! Thanks to MasterChef UK judges, we have a new version of our beloved Asian cuisine Rendang! 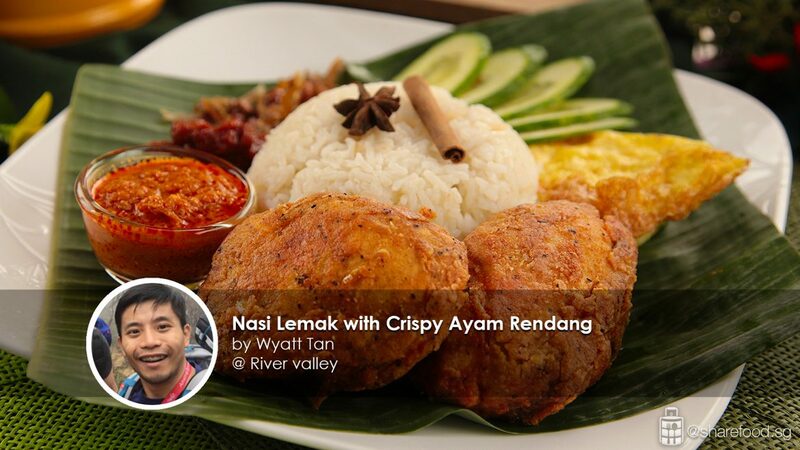 Our home cook Wyatt Tan was inspired and has successfully created his own recipe for Crispy Chicken Rendang! 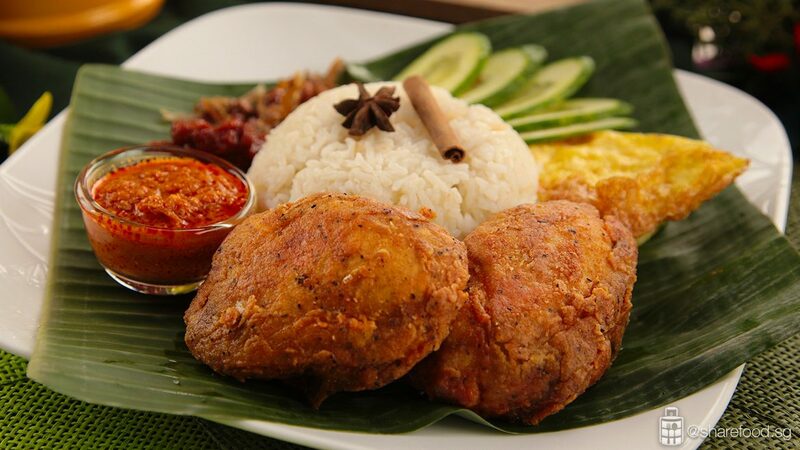 This Nasi Lemak with Crispy Ayam Rendang dish is absolutely delicious! Add all the ingredients for the spice paste into the food processor and blend until smooth. Heat the pan and add the spice paste, cinnamon, cloves, star anise and cardamom pods. Stir-fry till aromatic. Next add the coconut milk, water and lemongrass and mix well. Add Kaffir lime leaves and toasted coconut. Mix well and let it simmer for 1 minute. Add the chicken thigh. Submerge the meat in the rendang gravy. Let it simmer for 1 hour till the chicken is tender. Add water from time to time to prevent the gravy from drying up. Add sugar and salt, adjust to taste. Separate the chicken from the gravy and set the chicken aside to cool. Combine the flour and all the seasonings together. First, dip the rendang chicken into the buttermilk and then into the flour mixture. Coat it evenly. 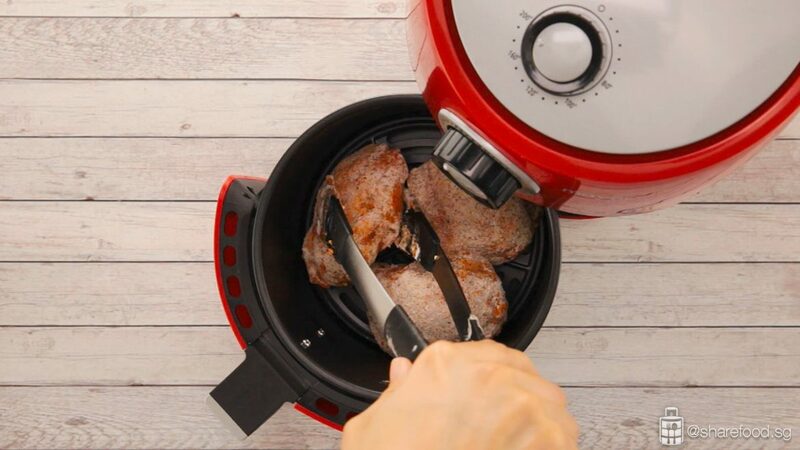 Place the chicken in the fry basket of the air fryer. 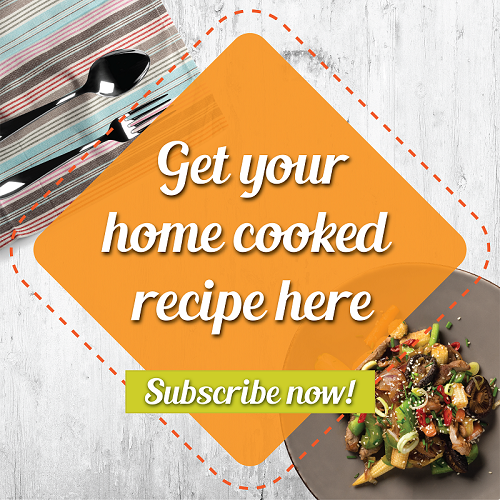 Thinly coat the chicken with coconut oil. Air fry at 180 degrees for 10 mins and flip the chicken. Repeat until the chicken is golden brown. 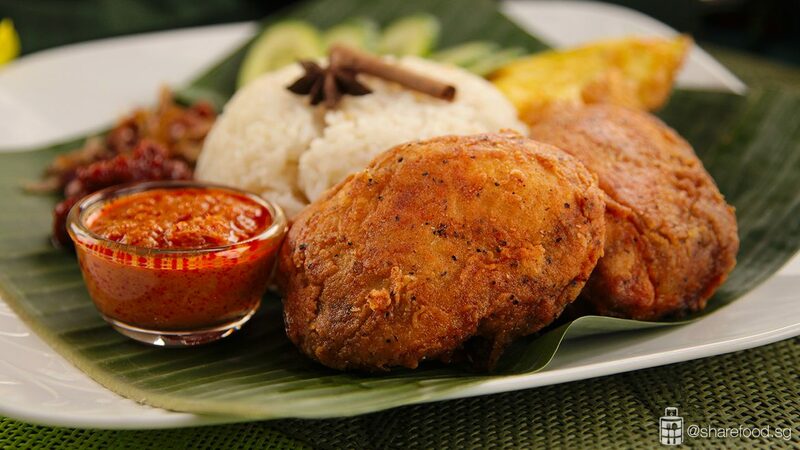 Serve with Nasi Lemak!